Serena Williams won a new title on Day 5 of the 2017 US Open: Mom. At noon on Friday, Sept. 1, the six-time US Open women's singles champion delivered a 6-pound, 13-ounce daughter at St. Mary's Medical Center in West Palm Beach, Fla.
Three hours, 48 minutes later, Aunt Venus took the court for her third-round match in Arthur Ashe Stadium. By then, Venus had clearly heard the good news. 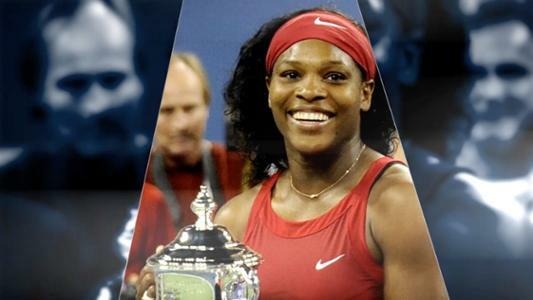 She told ESPN in a pre-match interview, "Obviously, Im super-excited. Words can't describe." Venus won in straight sets but, in the post-match news conference, revealed nothing more. "I"m definitely available to answer questions about tennis," she announced in a faint voice. "That's all right now." Asked whether it was hard to concentrate during the match, she said, "You know, I'm a real professional because I've been doing this a long time." Asked whether it was strange to play without her sister and mother in her box, she dodged again. "I've been spoiled my whole career of having my family around me. I'm more than blessed... There's times when they don't come. More often than not, they do come." She did say that she spoke to Serena before Friday's match. But only said that Serena had never played her opponent, Maria Sakkari of Greece, so she didn't have any technical advice to offer. "It was more about motivation," she said. Even in jest, Venus maintained her game face. Asked whether Serena had yet analyzed her less-than-one-day-old daughter's strengths on the forehand side, Venus deadpanned, "That's hilarious." It was certainly her prerogative, but everyone was eager to share her joy. The world had awaited Friday's announcement since Serena revealed she was pregnant after her 2017 Australian Open victory and, more recently, appeared on the cover of Vanity Fair wearing only jewelry to complement her healthy-sized baby bump. If Serena returns to Flushing Meadows in 2018, the staff in the US Open family room will be ready. Since infants aren't really allowed in the players' box, the family room is where the Bryan brothers often drop off their children during matches and where other tennis parents, like the Federers, are welcome. 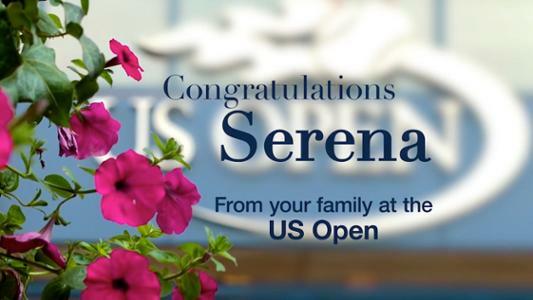 "Someone like Serena will probably have her own personal nanny," said Selina Wellington, the longtime supervisor of the US Open family room, adding: "We do make accommodations for nannies." When the kids are not taking their bottles, watching cartoons, drawing or creating tissue-paper flowers, they bond with other players' kids. After Venus' victory, among the children in the nursery was Kateryna Bondarenko's 4-year-old daughter. Bondarenko, a 2009 US Open singles quarterfinalist, said that all four Grand Slam tournaments have similar rooms. Told the news about Serena's baby, Bondarenko had only one piece of advice – and it went beyond tennis. "My advice to Serena is to spend as much time with the baby as you can," she said. "I think that's the best in life."